That's a pretty impressive city hall! Pretty, too! Great view, perfect light and composition too. Beautiful building and a great shot. It reminds me a bit to New York City´s. I like how this shadow cuts the composition. 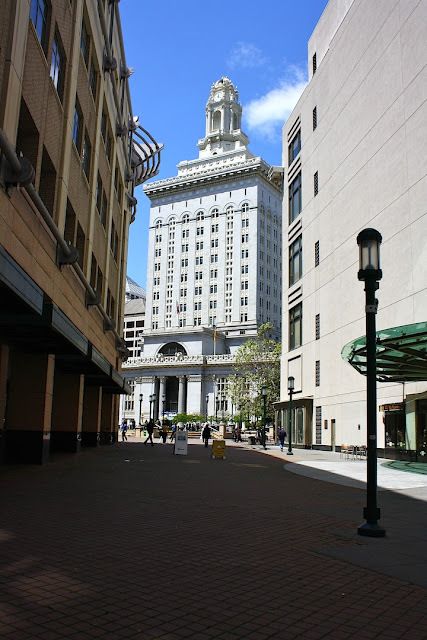 I have seen pictures of Oakland's impressive city hall before. It is remarkable that they chose to build a highrise city hall back in the day. Somehow it looks very, very American. I agree with La Principessa. What a great building.